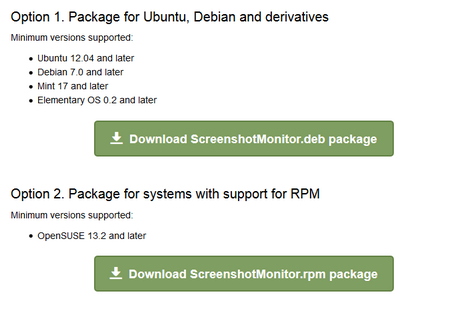 We have updated the Screenshot Monitor desktop application for Linux to better support Ubuntu, Debian and derivatives (Mint, Elementary OS, etc). The installation now is more familiar through the Debian or RPM packages. Users of Ubuntu, Debian would only need to download the appropriate package file and run the installation. After installing the application, it will add the shortcut to the list of installed applications. For convenience you can put a shortcut to the desktop or to the quick menu. 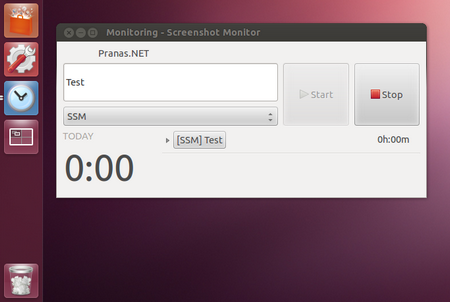 Screenshot Monitor for is desktop application for employees (PC, Mac OS X, Linux). It is started and stopped by an employee to track time and take their computer screenshots during work. No other information is being collected – this is NOT a spying tool. The time and screenshots are being sent to the web where managers can see them through the browser. How can I logout screenshot monitor? I am on Ubuntu 15:04 and I want to login from another screenshot account but I can not see the option to logout from my existing screenshot account. You can log out from the current account in application menu which locates at left-top corner of the desktop when ScreenshotMonitor application is in focus. On Ubuntu, the application just randomly stops recording screenshots and crashes. Won’t be able to start the app again until reboot.